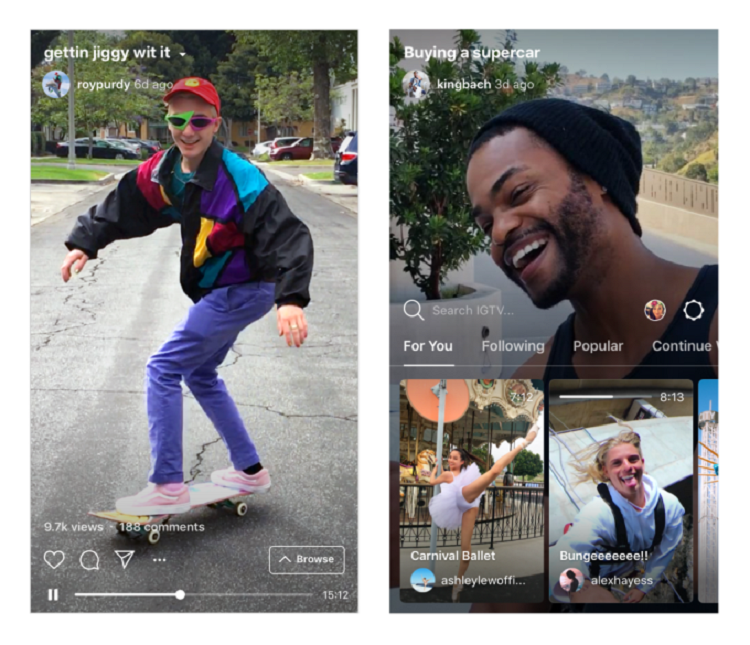 On Wednesday, Instagram announced the launch of IGTV, a standalone video platform that takes aim at YouTube. In addition to IGTV being a new app, it will also be available as a tab within the existing Instagram app. The IGTV app will be available for Android and IOS in the coming days. In the meantime, you can immediately start watching the longer videos within the Instagram app itself. Previously, Instagram videos were limited to just one minute. Now, videos can be up to 60 minutes for those creators with massive audiences. Otherwise, IGTV for the rest of the community can go as long as ten minutes – still nine minutes longer than the previous video maximum time for videos. Another difference with the new IGTV videos is that unlike the current Instagram stories which disappear after 24 hours, IGTV videos will be permanent. Current data shows that teenagers today are watching 40% less television than just five years ago, as more consumers are watching video from mobile devices. Instagram co-founder Kevin Systrom said, "The tools we watch video on are old and out of date. Think about it – we still watch videos formatted for TV, on a vertical screen." Thus, IGTV footage will be full screen vertical, "built for how you actually use your phone." Additionally, it's meant to mirror TV in that video automatically starts playing as soon as you open the app, instead of users needing to search for content first before clicking play. 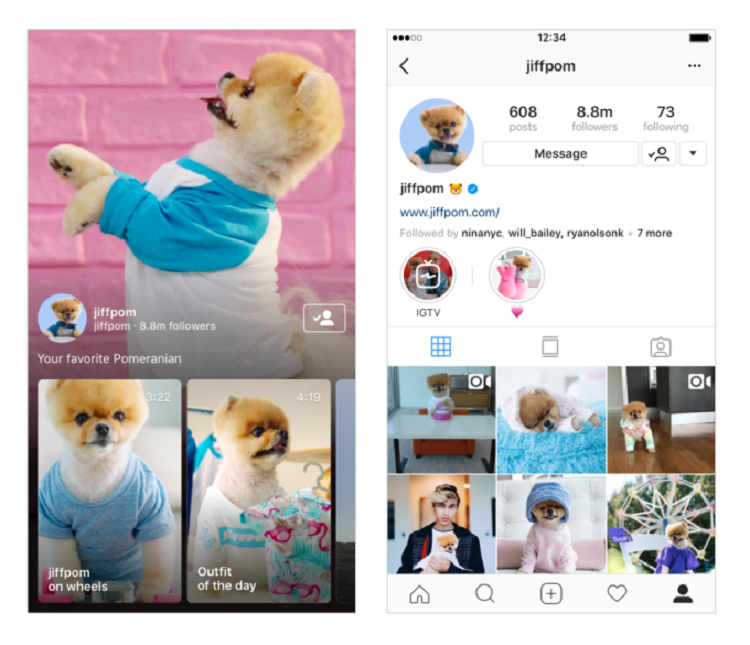 The content will come from people who you already follow on Instagram, and it will also feature personalized recommendations for you. Discovering more content is as easy as swiping up. Want to switch channels? Just swipe to the side to keep browsing. You can also comment and like videos, as well as send your favorites to your Instagram friends through direct message. Instagram celebrity Lele Pons, who has 25 million followers, is excited about the latest development, announcing that she plans to launch a new cooking show on IGTV. Eventually, Instagram will need to determine how to compensate its creators since longform videos are time and labor-intensive to make, and Systrom has indicated that he wants creators to make a living from this enterprise. For the moment, there aren't going to be any ads on IGTV. Once enough people are hooked, however, it's reasonable to expect a different story in terms of commercials and advertisements. While most users will be limited to creating 10-minute videos at the moment, it's expected that in the future, everyone will be allowed to pre-record 60-minute videos for IGTV. It may prove to be a challenge for Instagram to go from moderating pictures, which only requires a second, to 60-minute videos which may contain offensive content. This has been a difficult for YouTube to effectively monitor. Finally, we may see IGTV being offered ultimately as only a standalone app instead of also being available in the main Instagram app, just as Facebook ended up doing with their Messenger service. After all, Instagram was acquired by Facebook in 2012. Since then, it's grown to more than five times the seize of Snapchat and boasts 1 billion users. For now, it will be exciting to see how many of Instagram's users choose to download and utilize the IGTV app once it becomes available in the coming days.